Belongings: I accumulate so many “things” over the year, and I’ve found if we don’t do a belongings purge every so often, things seem to build up cluttering the home, and ultimately cluttering the mind. An entire belongings overhaul is never a bad idea! Subscriptions/Bills: With so many subscription services out there, it’s easy to subscribe and then forget about it. However, without a re-evaluation, the bills can really pile up. Sitting down once a year (AT LEAST) and looking at where your money is going, can be an extremely beneficial practice. This process allows you to be intentional about where you’re spending your money and adjust according to how your life has changed over the year. Diet: Winter time is a time for comfort foods. Holidays definitely promote overindulgence, and sometimes it just takes a conscious effort to reset your eating habits. Often times we build momentum towards a certain habit. I’ve found the more junk food I eat, the more I crave. The opposite is also true though, the more I establish a healthy eating routine, the easier it is to maintain. 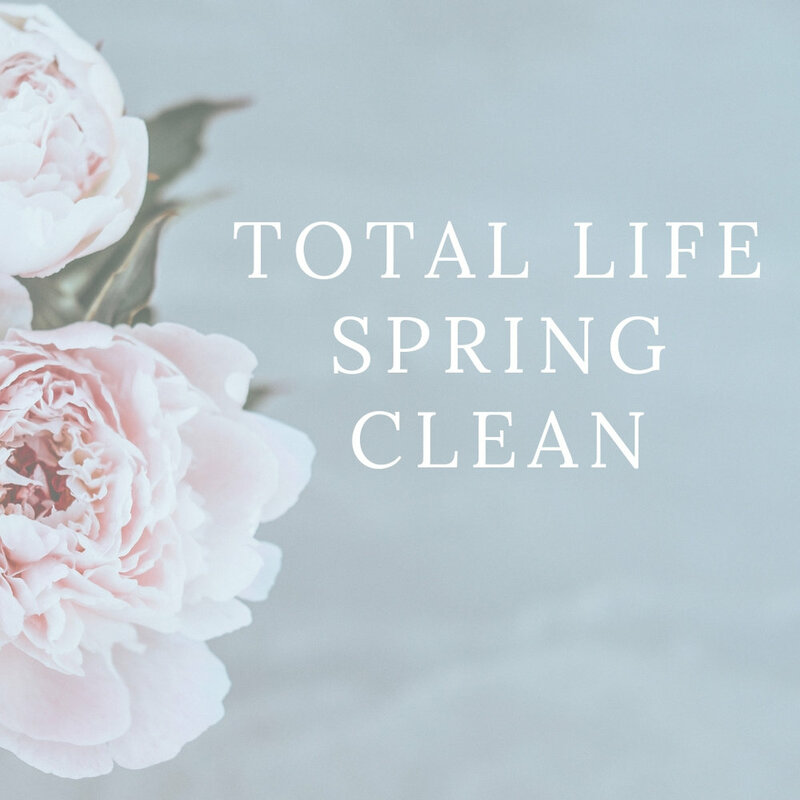 Spring is a perfect time to re-evaluate how you want to be eating, what you want to be feeding your body, and make changes to suit these intentions. Relationships: We can be in relationship to so many things; people, places, habits. Take inventory of your relationships including which relationships fill you up and which drain you of your energy. It may be a great opportunity to change the way you relate to situations, people, and/or circumstances. Emotions: Which emotions do you feed? Which do you promote or nurture? Take inventory of the emotions you feel on a regular basis, and adjust accordingly. Our mind is like a garden. We have to constantly weed out the thoughts we don’t want to grow and plant and nurture the thoughts we do want to grow. Plant seeds of positivity and stop feeding the bad. For example, if you always make decisions out of guilt, you are nurturing the guilt. Take inventory of emotions, thoughts and feelings, how they affect you, and how you can improve your internal environment. Energy: This is similar, but looking at lifestyle, thoughts, and emotions from an energetic standpoint. What gives you energy in your life and what drains you of energy? Sometimes it helps to make this a journal topic every day for a couple of weeks so you can get an accurate inventory. Adjust accordingly. In the past I’ve noticed recurrent automatic worries in my head that drain me of my energy without adding to my life in any way. Now I make a conscious effort not to entertain such thoughts. Taking inventory of these factors can be a great practice to do consistently, if not once a year. Time: Ahh, time. It’s the ultimate commodity. Time is something we can never get back. Taking inventory of how you’re spending your time, what obligations you have in your life, and whether you want to continue spending your life on those things can be so valuable. Optimize your time and you optimize your life. I want to spend as much time doing the things that excite and inspire me and spending time with the people I love, but with the busy-ness of this world, it’s easy for obligations to accumulate. Just as we need to purge our belongings once in a while, I believe we need to purge our obligations, clearing the clutter from our schedules.